If you are looking to buy or sell a home or would just like to have some more information, feel free to call or Email me. As a listing agent in King county, my extensive marketing plan gives a homeowner the opportunity to get the maximum value for his/her property. For buyers, I help negotiate the best possible deal and search until I find the perfect property. Then I work to make sure that every detail is handled smoothly so that your experience is one of ease and enjoyment. Nothing satisfies me more than seeing the smiles that come with a successful sale or the purchase of a lifetime. 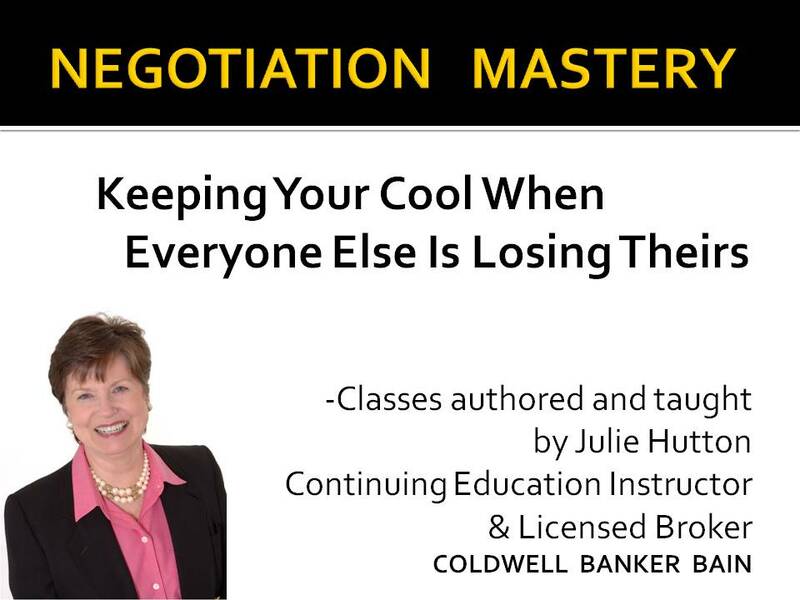 I have many years of experience as a success coach and have coached new agents in my office and teach courses in Continuing Education for agents. Julie helped us sell our home in Duvall then helped us buy our ne home in Bellevue. From our earlier experience in selling our home we already knew that we could really trust her. She handled the inspection and all the details from start to finish--always keeping us in the information loop. She even helped us get an exception for our 'over 40 lb' dog. 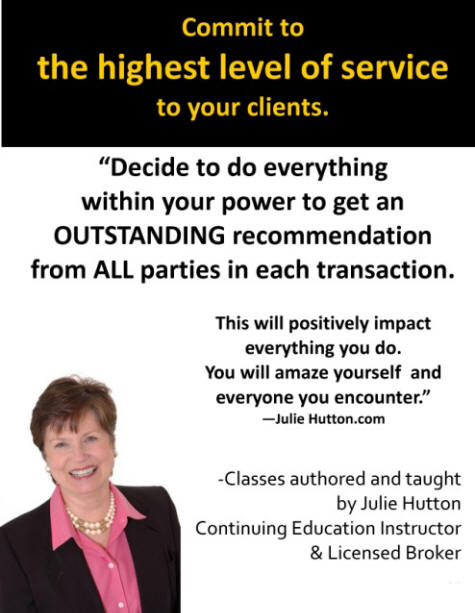 Julie is highly competent, resourceful, experienced and very professional.